In July 2011, the idea to close a James Bond "sha-logy" was born in the production crew’s mind when a set worthy of Ken Adam pushed us to quickly shoot a scene for 007. 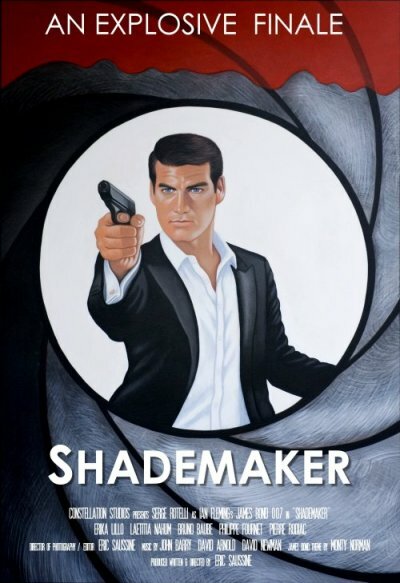 It was the start (and shall be the ending) of Shademaker, our third and final James Bond thriller. Another stand-alone scene was written and shot in July 2012. Since then Eric Saussine wrote a script that allowed the crew to shoot for an entire week six months later, just before Shatterhand was released. Shademaker’s raison d’etre was to close the story started in both previous films and to take advantage of the new High Definition formats that were not made available to us until after our second tribute James Bond movie.